I haven’t been posting any large projects because I’ve been busy with a special house fix-up (which you’ll see in a later post). 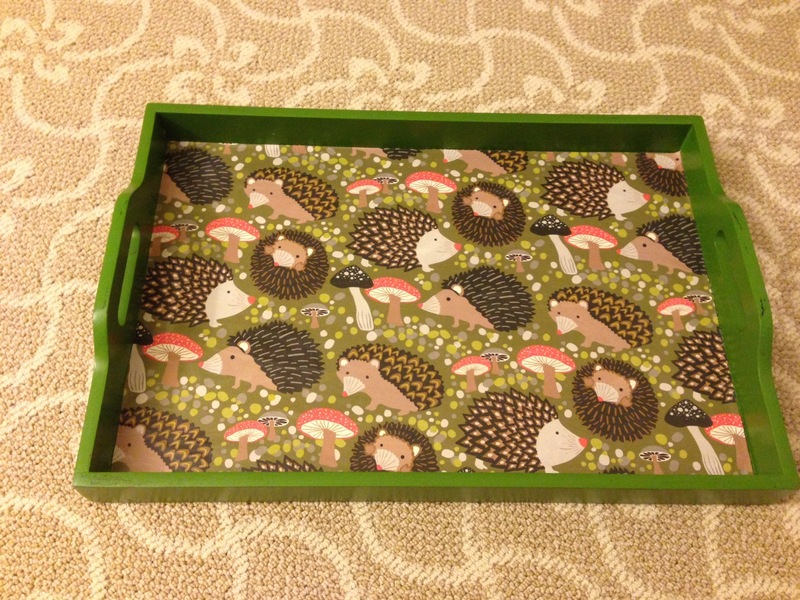 This is a quick project I did last night: hedgehog tray! This is a very easy craft to do with some Mod Podge (glue and sealant). I got the tray for free because it was a little banged up. 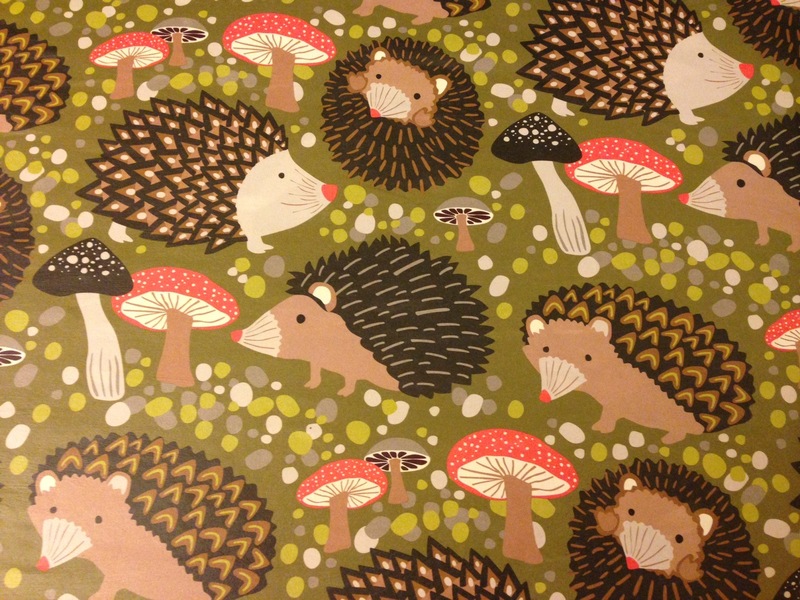 The cute hedgehog paper I bought from Paper Source. Using a foam brush put a thin coat of Mod Podge on the tray. 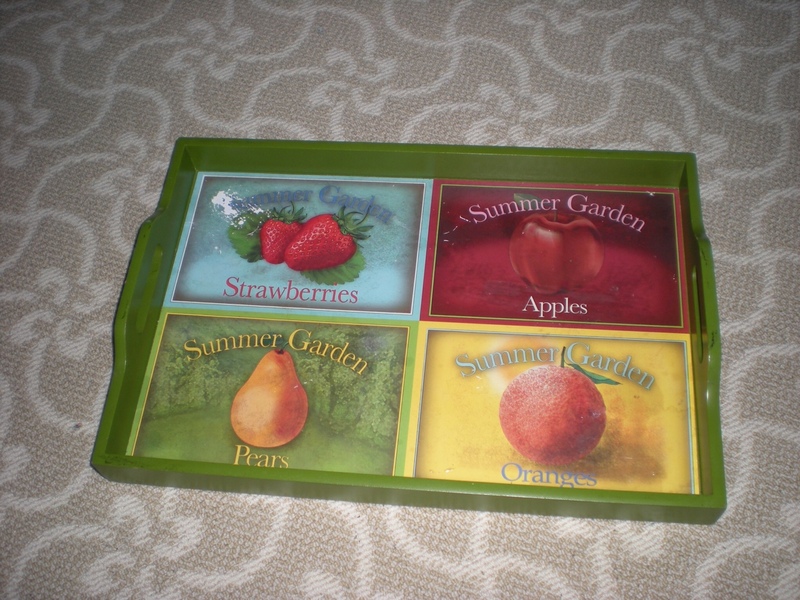 Put another thin coat of Mod Podge on the back of your paper and then lay it on top of the tray. You can use a roller to eliminate bubbles. Wait 15 minutes, then put another thin coat of Mod Podge on top as a sealer. (It looks like white glue but will dry clear). I put on 2 coats of sealer. I love hedgehogs! I wish they were legal to own in California. Posted in Home Decor and tagged craft, diy, hedgehog, mod podge. Bookmark the permalink.